A fantastic Easter gift basket. Enjoy this variety of chocolates, cookies, gummy treats, smores and more. This is the perfect gift to send to that special family or office staff. 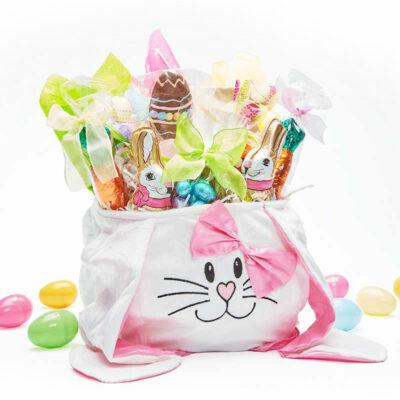 Our adorable Bunny Basket is filled with delightful Easter chocolates and candies. Perfect for each little bunny in your life…..Enjoy! 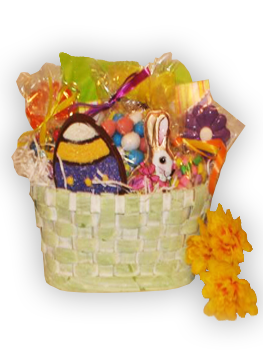 This bountiful Easter Basket is filled with delicious gourmet Easter chocolates and candies. This fanciful basket is sure to sweeten anyone’s holiday. Enjoy!! Easter is even more fun with candy and chocolate. 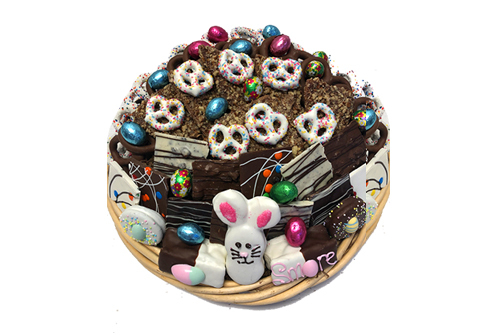 Chocolate covered pretzels, jelly beans, oreos, chocolate bunnies, and more are sure to delight your favorite person. 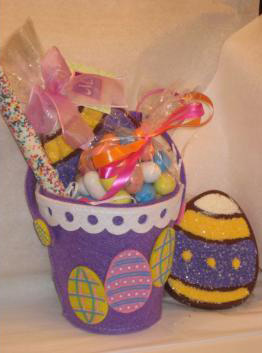 Hop on into a very special Easter with this plush bunny basket. 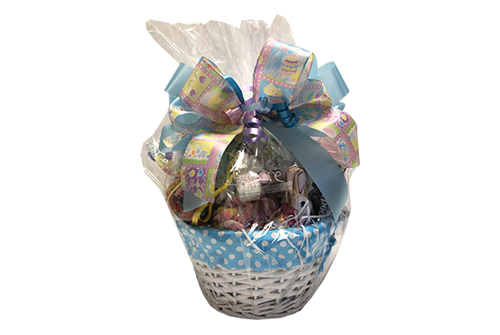 Every little girl or boy will delight in receiving this beautiful basket filled with an assortment of delicious Easter chocolates and candies. The plush basket makes a wonderful keepsake for years to come. 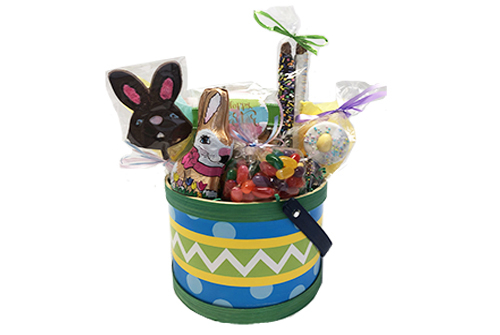 Enjoy this Easter twist on our best selling Signature Assortment. All of Goodies favorites with some extra special holiday creations. The perfect gift for any Easter celebration.